Since it’s Valentine’s Day today, I figured a love poem would be appropriate for today’s post, and what better than one from the romantic Shelley. As is typical with the English Romantic poets, Shelley looks to Nature for metaphors to express his love. In the first stanza, he cites the interconnectedness of things in Nature, as well as duality in the natural world, as the reason why his spirit longs for the connection with the woman of his desire. And the loving connection between two people is not just something natural; for Shelley, it is something divine and spiritual. The wholeness which is attained through the passionate connection with your significant other is something that transcends this world and elevates us spiritually. Myself, I lean toward the romantic philosophy here. I think that love helps us to see beauty in the world around us, and likewise, the beauty in Nature reminds us of the joy of sharing a deep connection with another person. This arc continues to surprise and impress me. Not only is the writing and artwork excellent, but the creative team is bold enough to incorporate thought-provoking ideas. And they do so in a way that challenges to reader to look below the surface at to what is implied instead of what is overtly stated. In this issue, Wanda collaborates with a Hong Kong detective named Alice Gulliver, also known as the Wu, who possesses mystical power. Alice is an intriguing character, specifically because of her balance of male and female energy. She has managed to incorporate aspects of her father and her mother into her being, becoming a balanced individual that transcends gender roles and bias. Alice: My father was a Hong Kong detective, killed by one of the triads. My mother was the city’s magical heroine, the August Wu of the Coral Shore… murdered by a demonic entity. Wanda: So you chose your father’s life and keep your inherited powers a secret? Alice: On the down-low, that’s right. A sign of great art, in my opinion, is to express something subtly, through what is consciously left out of dialog and what is conveyed through images. In this tale, there is a sexual attraction between Wanda and Alice that is only hinted at through the dialog and the images, particularly the eyes. I’ve always felt that eyes are the most expressive feature of a person’s face, and the artists captured an attraction through the way the eyes are rendered. It’s subtle, but clearly there. At the end of the issue, Alice hesitates for a frame, eyes are averted, building tension. Then in the following frame, her eyes turn back to Wanda as she springs a question. Alice: Hey… err … do you want to grab a drink? We can discuss how I do things differently. Wanda: I don’t drink, Alice. I’m sorry. Alice: How about tea? I know an amazing tea house. Wanda: Oh. Now tea, I do. And in the final frame, the two women walk off together. I’m really impressed that a main-stream comic has taken on sexuality and gender issues. It takes courage, especially in an environment that appears to be more and more hostile to the LGBT community (looking at the states that have recently enacted legislation restricting rights of LGBT citizens). I recently listened to a TED podcast that talked about moving beyond tolerance, and I have been thinking about that a lot since listening. Tolerating people who are different is not enough. We need to embrace diversity and not merely tolerate those who are different. I think this comic is a step toward embracing differences, and for that, I applaud the writers and artists who collaborated on this. Cheers, and thanks for stopping by. This has been on my radar for a while. My friend Joshua recommended it to me a while back and I kept telling myself I would read it. Then one day I was in Comic Envy (my favorite comic store), and I decided to buy the first of the five volumes. I asked my friend Darren, the owner, what he thought about the book. He said I would love it, that it is truly mind-blowing. This is the story about a college student named Sophie Bangs who becomes the incarnation of Promethea, a goddess heroine who reincarnates in women throughout history. The tale is steeped in symbolism, archetypes, and mythology. 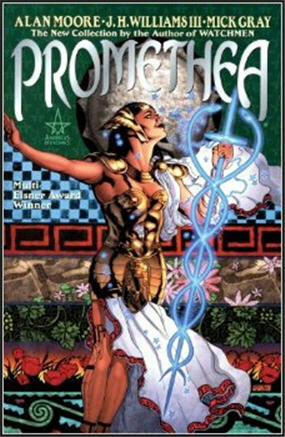 Promethea is reincarnated as a result of stories written about her and passed on. 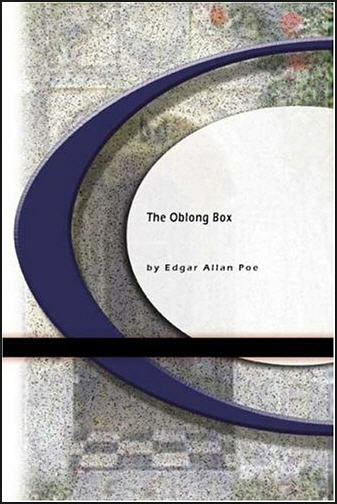 It is through reading these stories and connecting with the myths that one becomes open to being the latest incarnation. So essentially, this story is about the power of storytelling and the cycles of stories, archetypes, and symbols that are part of the collective consciousness and expressed through art and literature. There is so much symbolism woven into this book, both visually in the artwork and in the text, that it is beyond the scope of a short blog post to cover it all, so I will just pull out a couple examples which stood out for me. Some symbols always mean the same thing… and the archetype of Wisdom is eternal. While many symbols evolve and take on different meanings, I believe that some symbols and archetypes are eternal and express something universal. Moore asserts this succinctly and perfectly in one sentence. It is why some symbols from antiquity still resonate in the modern world and why we still read Homer today. In the tale, the Sophie incarnation of Promethea discovers she can travel into another realm of consciousness called the Immateria. This is the realm of the spiritual, of the subconscious, and of the imagination. It is the source of creativity and artistic expression and also the realm of the Platonic forms. At one point, Sophie travels there by entering into a deep meditative state and encounters Margaret, an earlier incarnation of Promethea. They discuss the duality of existence and how both realities coexist. Margaret: I’m Margaret, by the way. You must be Sophie. Margaret: …Because I’m who you thought about most recently. Yes. The rules are surprisingly simple, once you know them. I’m glad you came Sophie. You need counseling. You need advice. Sophie: Yeah, that’s what Barbara said. Listen, first off, I am sitting in a hospital imagining this conversation, right? Margaret: Well, yes. Your body is sitting in a physical location, and this is all in the imagination. Not your imagination, though. The imagination. Sophie: “The imagination”? You make it sound like there’s only one of them. Margaret: There is. There’s a material world, and there’s an immaterial world. Both worlds exist, but in different ways. For example, chairs exist. So does the idea of chairs. I cannot stress how great this graphic novel is. I am fascinated by mythology, symbols, archetypes, and by the transformative power of art and literature. This has it all, beautifully written and illustrated. The artwork is just as inspiring as the text, and also includes a plethora of visual symbolism woven in to the illustrations. I highly recommend this book. On a closing note, I also wrote a short summary of this graphic novel as a guest blogger on the Book Club Mom blog. Barbara has a great blog and I suggest you check it out. Here is a link to my guest post on her blog. Cheers, and be sure to read something inspiring today. The character of the Earth is introduced early in the first act. Shelley presents Earth as a symbol of the Goddess, the divine mother of all. Of glory, arise, a spirit of keen joy! This is nothing new and did not really cause much interest for me, but the passage that follows the establishing of the Earth as the Goddess is nothing short of divinely inspired. It is somewhat long, but warrants being included in its entirety here. Terrible, strange, sublime and beauteous shapes. Have sprung, and trampled on my prostrate sons. Here the Goddess expresses the dual nature of the divine. The dual image that Zoroaster saw symbolizes the duality of humans: body and spirit, good and evil, divine and earthly, conscious and subconscious. The two realms of existence are referenced, the state of being in which we inhabit during life, and the realm of shadows, to which we transcend after we die, a realm populated by forms and archetypes. This passage is so rich, I feel that my commentary does not do it justice. I encourage you to just read it again, and think about the duality in the divine, in nature, and in ourselves. 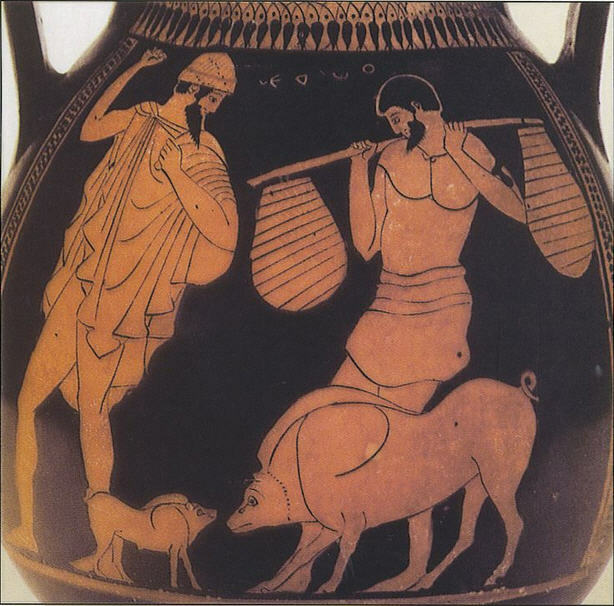 In this episode, Odysseus is given shelter in the hut of Eumaeus, his swineherd. Since Odysseus is disguised, Eumaeus does not recognize him, but invites him in as courtesy to a wanderer and offers Odysseus food and drink. Odysseus lies about where he is from and assures Eumaeus that his master is still alive and will return soon. 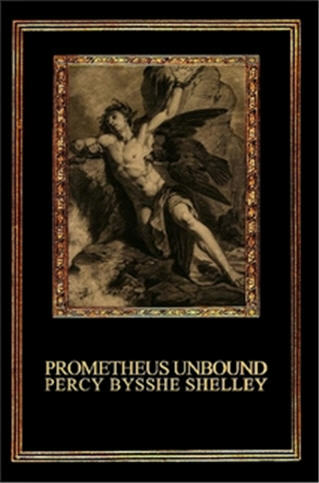 This book presents Odysseus more as the archetype of the wanderer, although, he still demonstrates a bit of the trickster through his lies and stories. Come to the cabin. You’re a wanderer too. where you are from and the hard times you’ve seen. After the meal, Odysseus and the swineherd begin talking. Eumaeus expresses his belief that all wanderers are also liars. for fresh clothing; truth really doesn’t interest them. The connection between the wanderer and the trickster archetypes is established. Odysseus embodies both, but I wonder if the implication here is that both archetypes are intrinsically connected. It is almost as if they are two aspects of the same. The trickster, who revels in deceit and trickery, must of necessity travel constantly in search of new dupes. Likewise, the constant wanderer must always be ready to use his wit and guile in order to secure what is needed and manipulate individuals into providing shelter and provisions. One of my favorite quotes from this episode is when the swineherd confronts Odysseus and asks him why he is a liar. you will not make me believe that. Since Odysseus is an incarnation of the trickster, he cannot help but lie. It is part of his nature. Even though he will not gain anything—the swineherd has already given him food and shelter—Odysseus as the trickster must still lie and make up stories, for no reason but because he can.